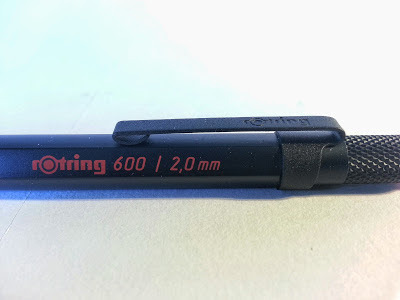 A while ago, I bought a big box full of japanese pencils from this website, and one of them was a Rotring 600. Not a normal 0.5mm drafting pencil though, no! I bought the 2mm version. Simply because I prefer 2mm over normal mechanical pencils. This makes things more complicated though, as they are even harder to get than the normal 600 pencils. But luckily they had them in stock on this Japanese site. 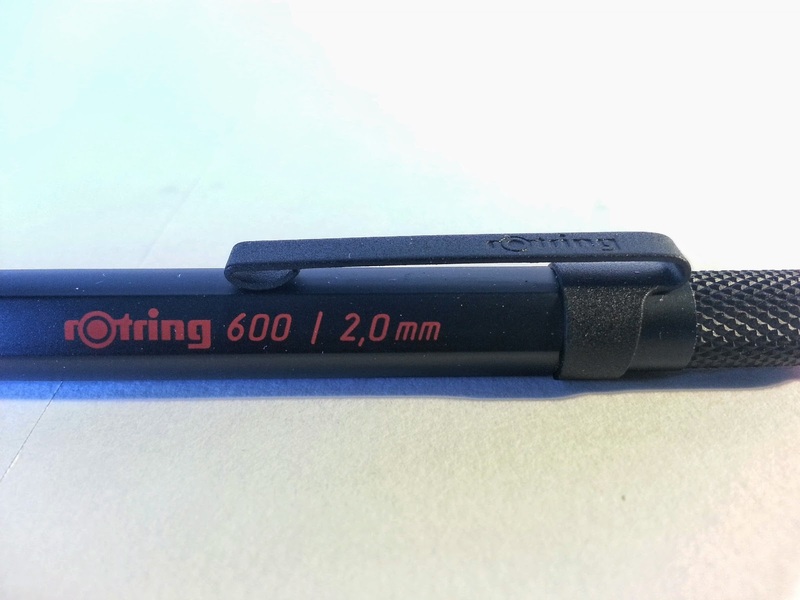 I am really impressed by this pencil (how could it be different, it's THE Rotring 600). Mainly because of how it feels in the hand. The lacquered metal body (I guess it's aluminum) feels very soft. It has a matte finish, but it isn't as rough as the clip, which feels totally different (I can't really explain it, it is visible on the picture below) This texture difference makes for a very nice writing experience. Here, you can clearly see that the clip has a rougher finish than the barrel. The build quality is top notch, though if you remove the push button, a plastic inner tube shows up. Not that I think it's a problem or anything, but I would have expected a bit more from a Rotring. Now don't let this bother you, if you use the pencil properly, it will still last a very, very long time! 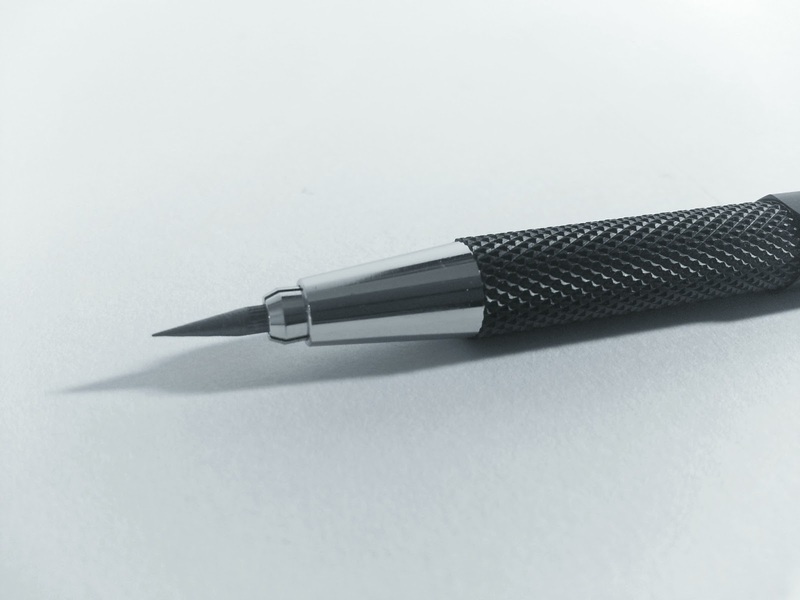 This one has a normal drop down mechanism, the more expensive version, the 800 (also available in 2mm) has a click-advance system like the Staedtler. But it's the same story as the Staedtler. I wouldn't say it's a beautiful pencil. It's made for drafting, and that's basically it. A well engineered, and proper functioning pencil doesn't need a fancy design I would guess! This pencil will set you down about 30 Euros, depending on where you find it I guess! So translated into Dollars that would be about 40 to 50 dollars. 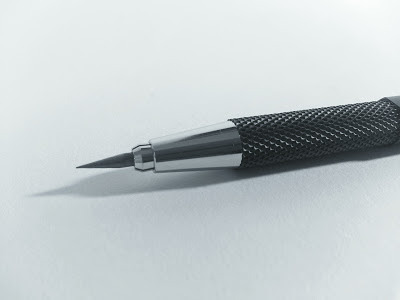 (last time I checked, it was 46 USDollars on Jetpens) So it's not a cheap one, but if you need it for drafting purposes, I would reccomend it over the Staedtler 925 25-20 because of the mechanism being a little more stable when you need to work very precise. I didn't write a review on paper, mostly because I always use the same Staedtler mars HB lead in all of my 2mm pencils, so it would look completely the same as in the Staedtler review!